We don't just make signs, we make signs that meet your needs. BDI Signs is a full service sign and graphics company whose service extends the Des Moines metro area and nationwide for over 25 years. We are dedicated to creating high quality, custom signs and providing first class service for our clients. Our team can help you with your overall marketing and imaging needs. Our forte includes large format printing, vinyl graphics and decals for vehicle, wall, floor, window and other products. We also provide indoor and outdoor signs, pole signs, cast lettering for your building and more. The BDI team is here to work with your company, organization, team or family. BDI is the company for your custom sign and graphic needs. From complete vinyl signs to cast lettering for building exteriors, the BDI design and sales team will work with you until your sign / label have the look and feel that you want. Whether your business is getting started or has been operating for years our marketing team offers solutions to help you stand out in a crowded marketplace. From logo development to marketing strategy we are equipped to help you grow and sustain your business. Contact us today to get started. WE'VE GOT SPIRIT... YES, WE DO! 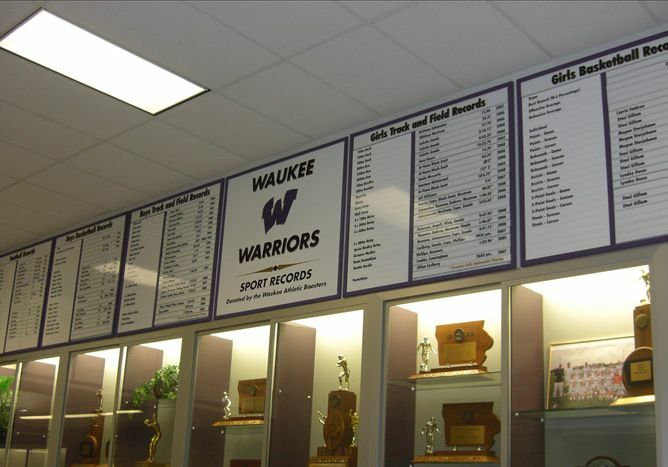 Build team, school and community spirit with quality signs and banners, changeable record boards and much more. 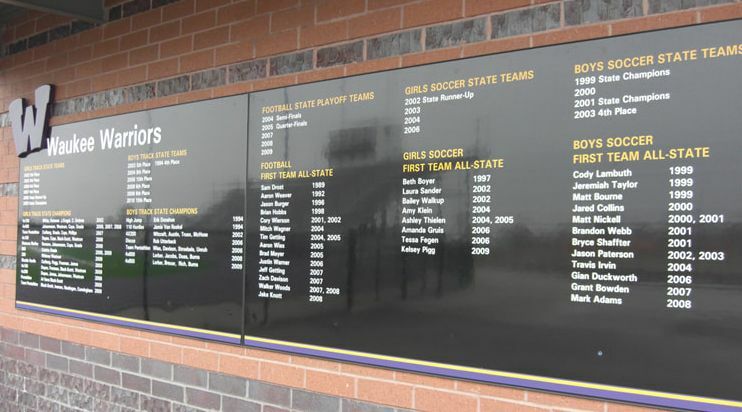 Enhance the look of your gym or stadium with the look of the professional or college teams. from the planning to installation. JEN HEINS, HEINS DESIGN LLC. BDI Signs is a family owned, central Iowa company with great customer service, quality products and top designers. Our team is looking forward to helping you out with your next project. We are located in the greater Des Moines area, south of Grimes off of Hwy 141. Stop by and talk to us!